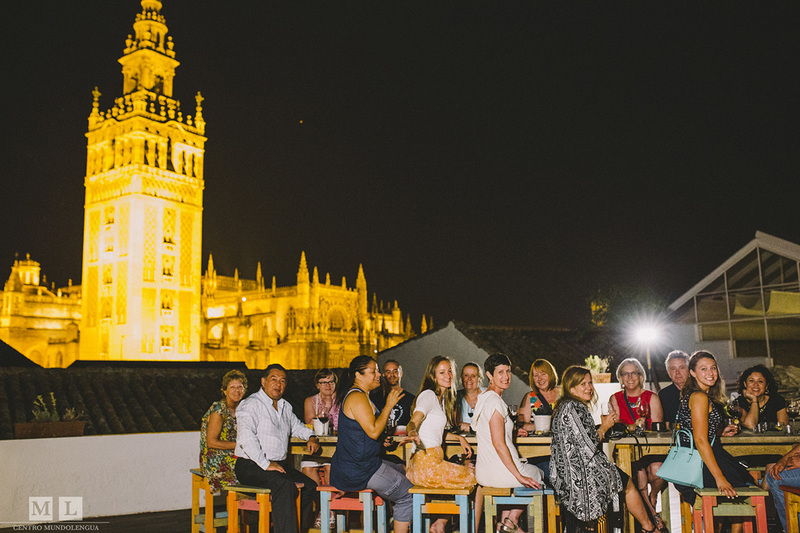 Discover the best of Spanish art, culture, and cuisine in Seville with Centro MundoLengua. Classes are available for all Spanish levels in our central facilities and are taught in small groups. During the afternoons or evenings, participants can attend workshops for Spanish and Andalusian cuisine along with cultural excursions to places such as: la Catedral, el Real Alcázar, el Museo del Flamenco, etc. 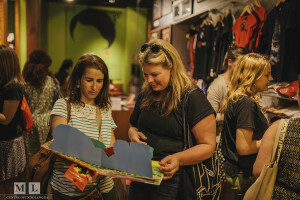 Other possible activities are visits to different tapas bars in the center of the city, visits to local shops, dance workshops, Flamenco performances, and tastings. 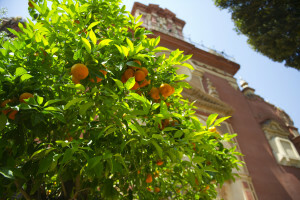 Arabic palaces and renaissance gardens. Flower patios, paintings, and statues. Bullfights in the Real Maestranza. The culture of the best Spanish tapas through numerous restaurants. Vibrant summer nightlife: concerts, movies, outdoor music and dance, etc. 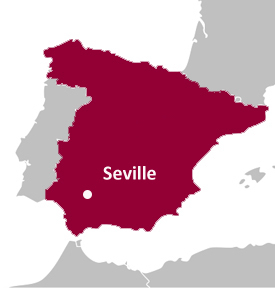 You will learn about and enjoy the places most emblematic of Seville, whose most unique monuments are known as World Heritage Sites. You will make and enjoy typical dishes of Andalusia and Spain. 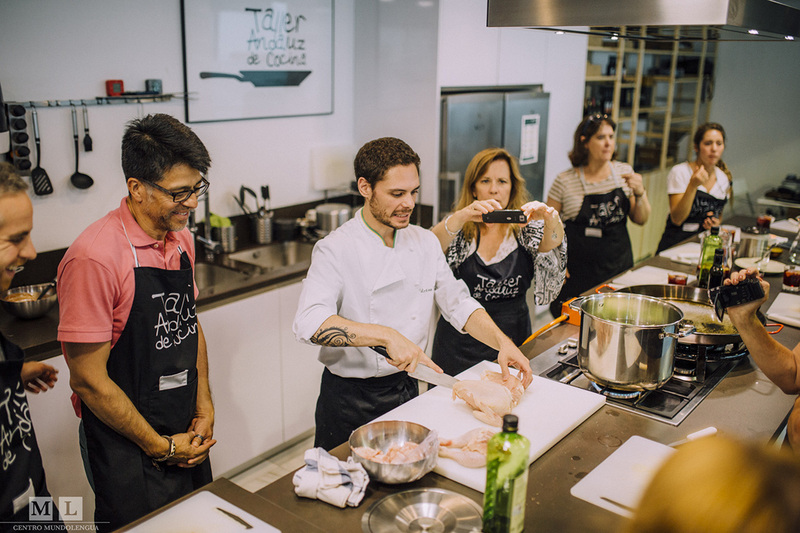 Some authentic and delicious dishes that you will make throughout the program include: paella, cola de toro, carne con tomate, salmorejo, torrijas, leche frita, and pestiños. 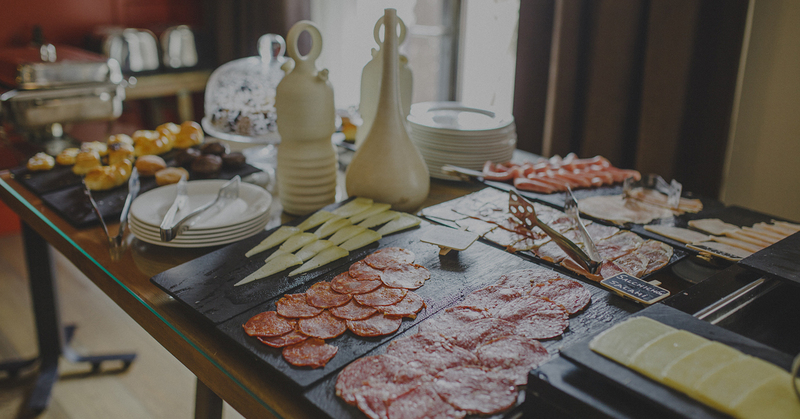 You will enjoy the best foods: various Iberian meats, wine, oil, olives, and cheese in different restaurants and pleasant and unique atmospheres. You will visit local shops, such as the famous ceramic shop in the Barrio de Triana. You will attend one of the most authentic Flamenco performances in the city. 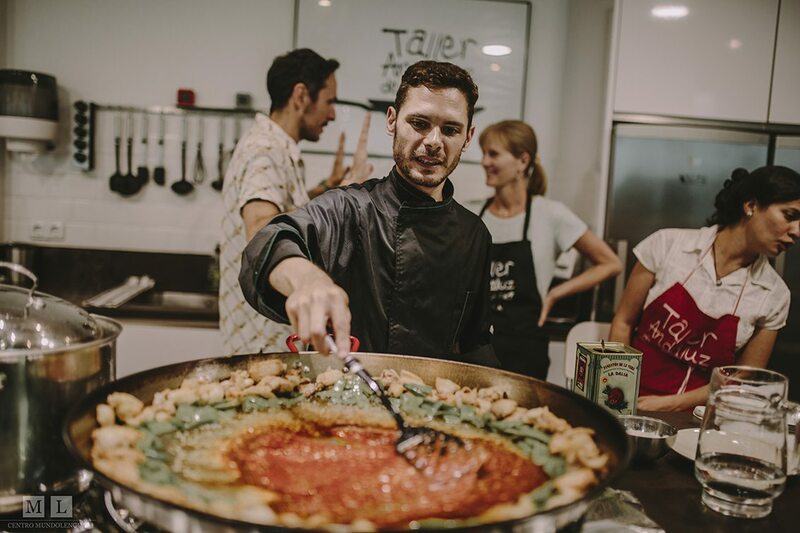 You will discover the culinary customs of Spain, the food culture, and the tradition of tapas through visits to various tapas bars. 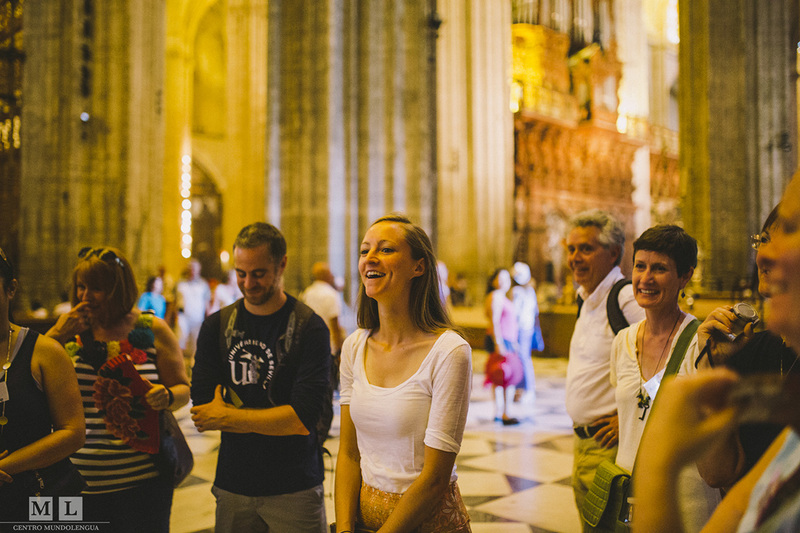 There will be great advancements in your Spanish knowledge in a city overflowing with culture, history, and charm. 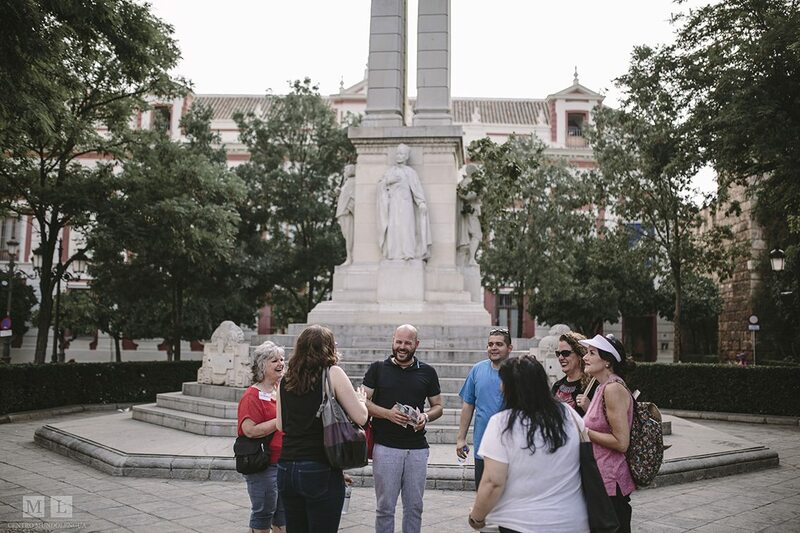 You will gain from the attention and experience of Centro MundoLengua by participating in other social, sporting, and cultural activities; also you will be able to organize trips during the weekends: Cádiz, Gibraltar, Madrid, Barcelona, Morocco, etc. 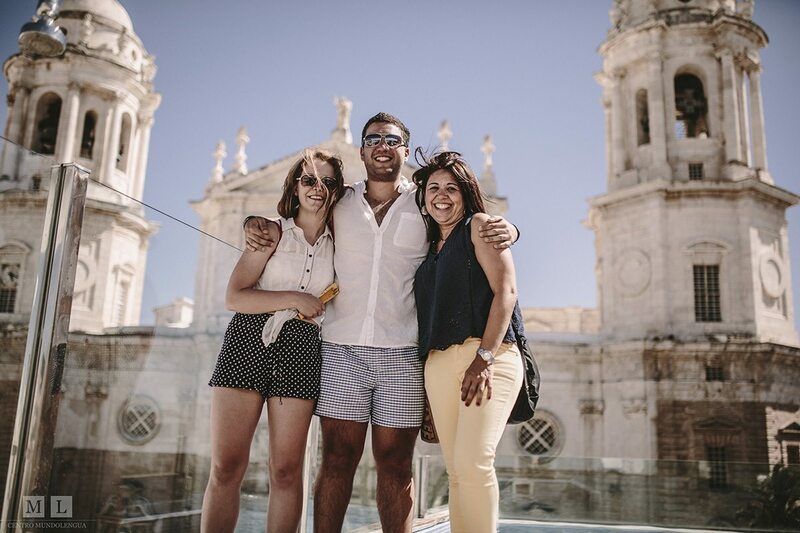 You will meet people from all over the world and create new relationships while learning the Spanish language and culture. 8:00 - 10:00 Breakfast and walk to school. 1:15 - 5:00 Lunch and free time to relax, sightsee, relax, etc. 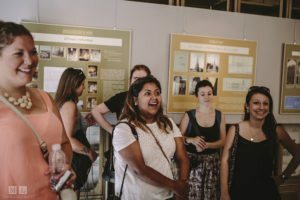 5:00 - 7:00 Evening activity: orientation, cultural excursions, cooking workshops, visits to local shops, Flamenco performances, tastings, etc. 7:00 - 00:00 Dinner at home or visits to tapas bars. Free time after dinner to relax, sightsee, relax, etc. Do you organize airport pickups? Transportation to and from the airport, train station, and bus station are not included. 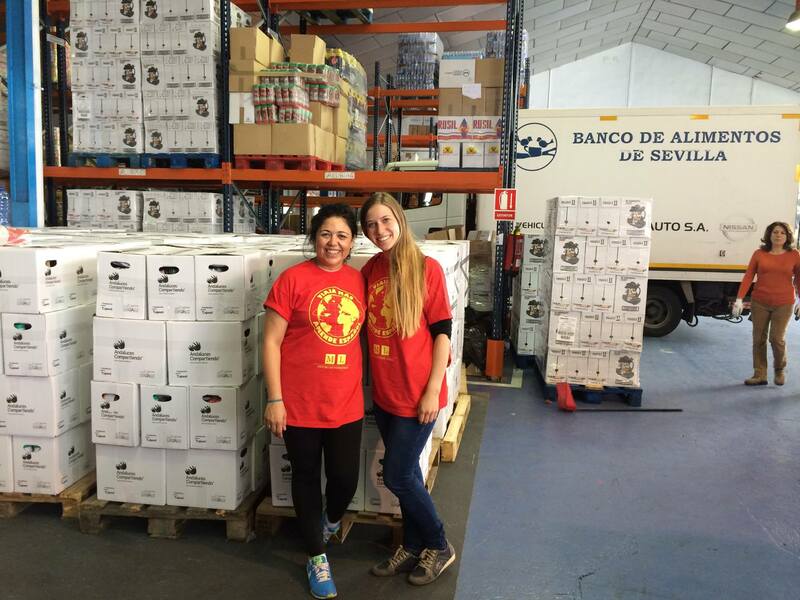 We are more than happy to help you organize transportation or inform you of the best way to arrive in Seville. 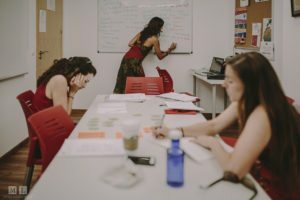 Where do the Spanish classes take place? The Spanish classes take place in our new and central facilities. 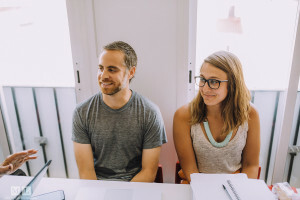 With new classrooms located in the heart of Seville, close to the Cathedral and the best points of interest in the city, Centro MundoLengua possesses the perfect environment for the learning of Spanish in a pleasant and unique atmosphere. 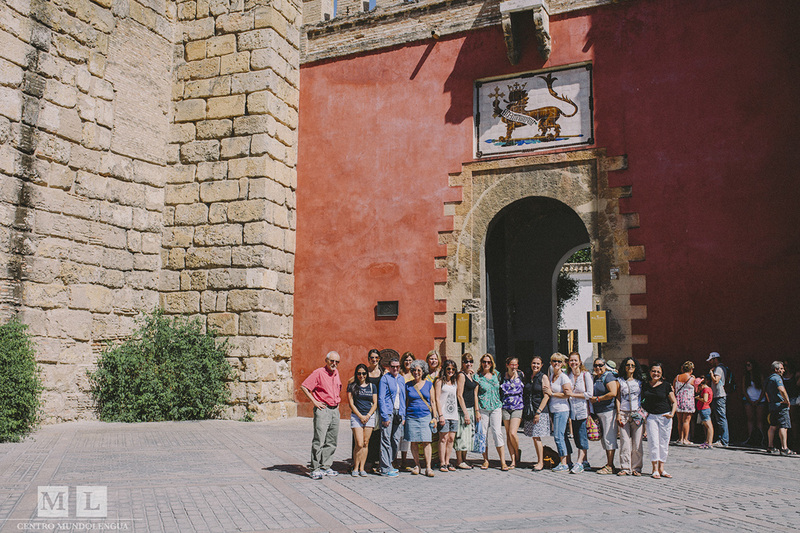 Our Spanish professors are expert and native teachers in the studies of Spanish as a secondary language. 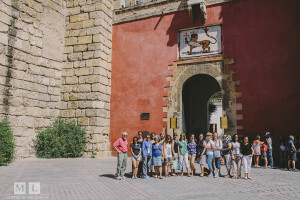 All of our Spanish professors are highly qualified, are college graduates with careers in foreign languages, and are specialized in teaching Spanish as a secondary language. 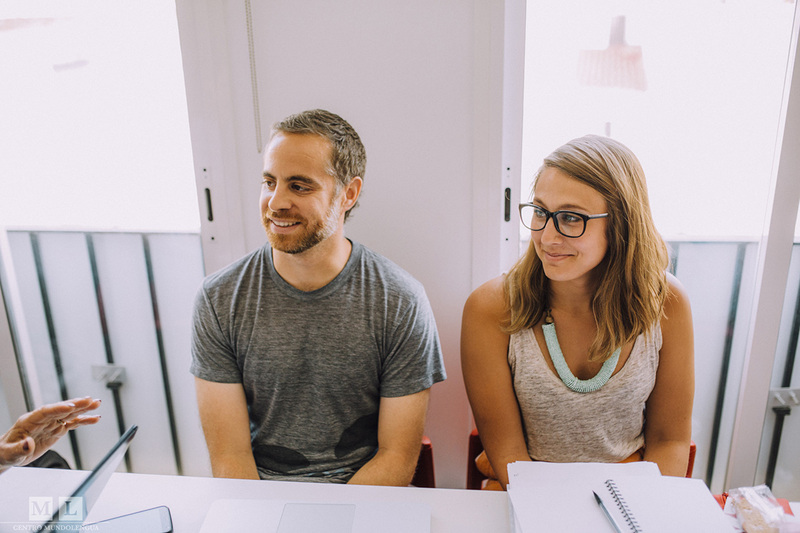 Our native teachers are characterized by their charisma, energy, and their passion to teach Spanish. What are the cultural activites? Do you want to learn how to cook typical Andalusian and Spanish dishes in a fun and relaxed environment? 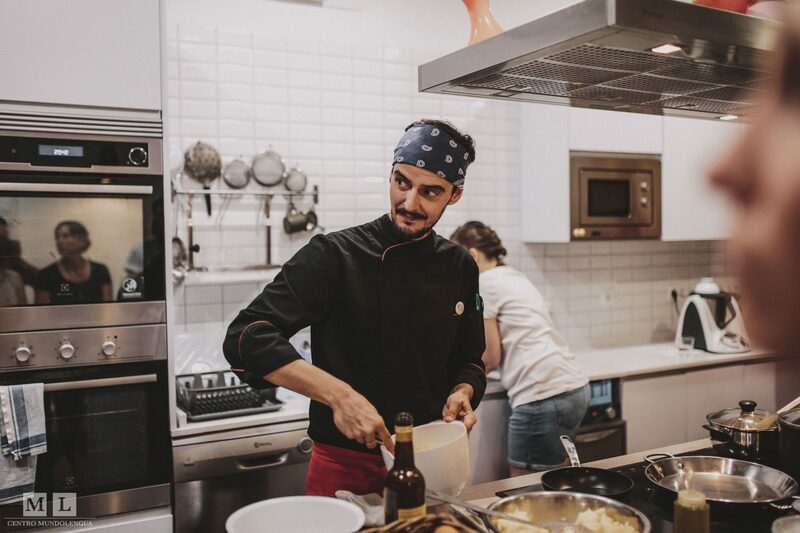 Do you like good food and want to try the best gourmet dishes that Spain has to offer? 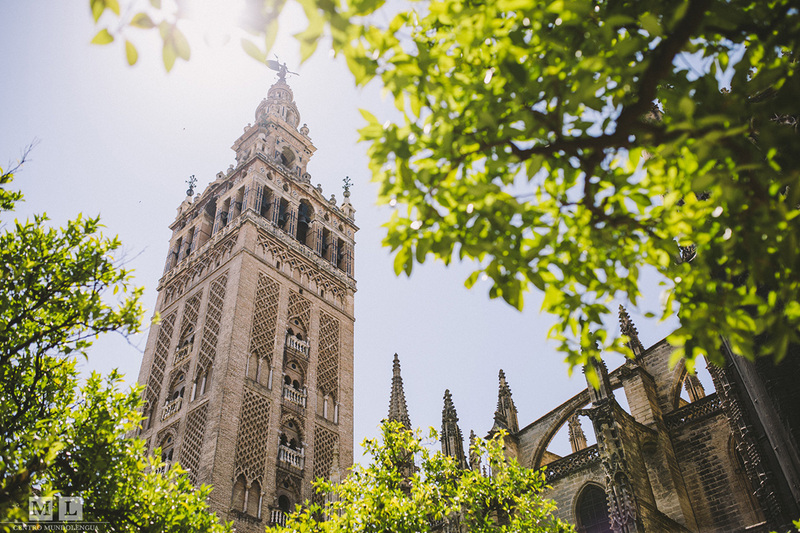 Do you want to dive into the history, culture, and art of Spain with our cultural excursions to the most amazing monuments in Seville, such as: el Real Alcázar o la Catedral de Sevilla y su Giralda? How about a visit to tapas bars around the historic center to discover the hidden treasures of the city? These are some of the activites that you will be able to participate in through our Spanish speaking, culture, art and cooking program. 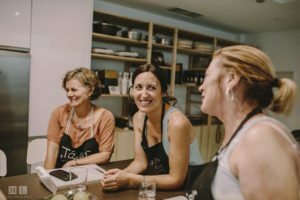 Where do the Spanish cooking workshops take place? 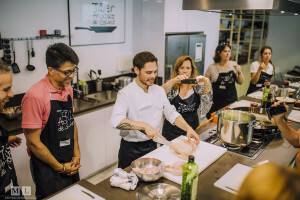 The Spanish cooking workshops take place at a culinary school in the heart of the historic center of Seville, in a space that is bright, comfortable, and completely equipped to prepare dishes of all kinds. Who are the instructors of the Spanish cooking workshops? 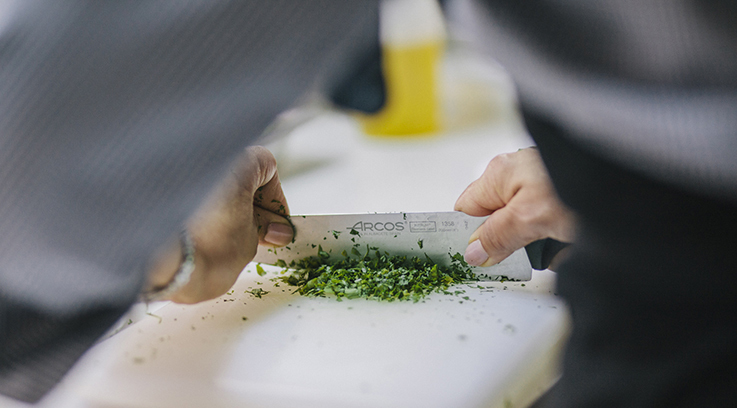 The chefs that are chosen by Centro MundoLengua have a high level of knowledge, strong background, and experience from all over the world. Who are the cultural instructors? All of our instructors are licensed in Geography and History and have specialties in Art History, Fine Arts, and History, in addition to great socio-cultural knowledge and working with groups of all types and ages. 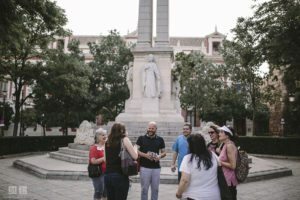 Our cultural instructors will accompany you during visit to important monuments, cultural workshops, Flamenco/Salsa dance classes, and visits to various tapas bars and local shops. You will not just be a tourist. 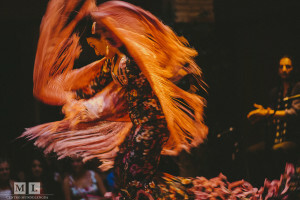 Live the culture first hand with Centro MundoLengua! All participants will receive a certificate from Centro MundoLengua who complete the program for the number of hours in their Spanish classes. What is there during the weekends? You have weekends free to travel on your own. This is a great opportunity to visit Andalucia, the south of Portugal, Lisboa, Morroco, Barcelona, Valencia, etc. The possibilities are endless since Seville is a very well connected city. You will have all of the support, knowledge, and experience of Centro MundoLengua to help organize your weekend excursions. What will the housing be like? 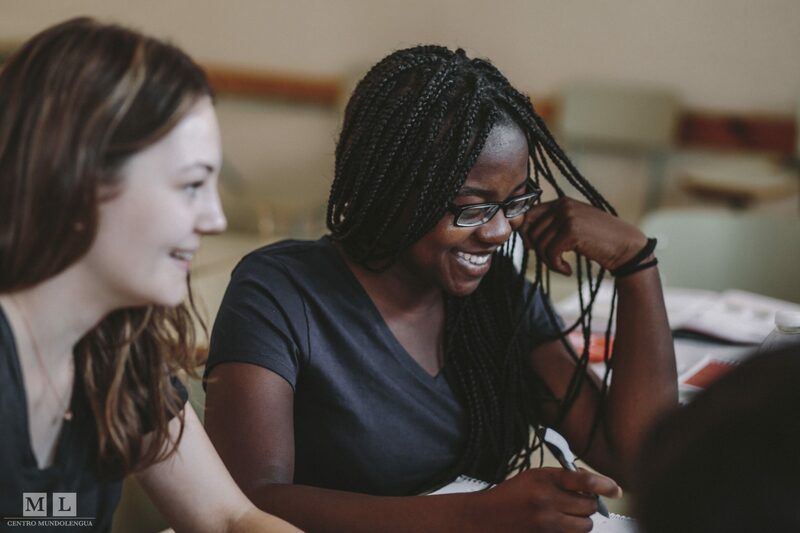 Centro MundoLengua specializes in placing students in specific houses where the participants will truly enjoy the cultural experience and receive the maximum benefit from their Spanish classes. In addition, we can help you find hotels, hostels, residences, private and shared apartments that are economic and close to the school. Please let us know if you need assistance. If you want to immerse yourself in the Spanish language and culture, this is the best way. The host families have many years working with us and are carefully selected and visited by our Housing Director. The majority of the Spanish host families live in middle class apartments with the typical conveniences of life. You will have your own room and probably share a bathroom. 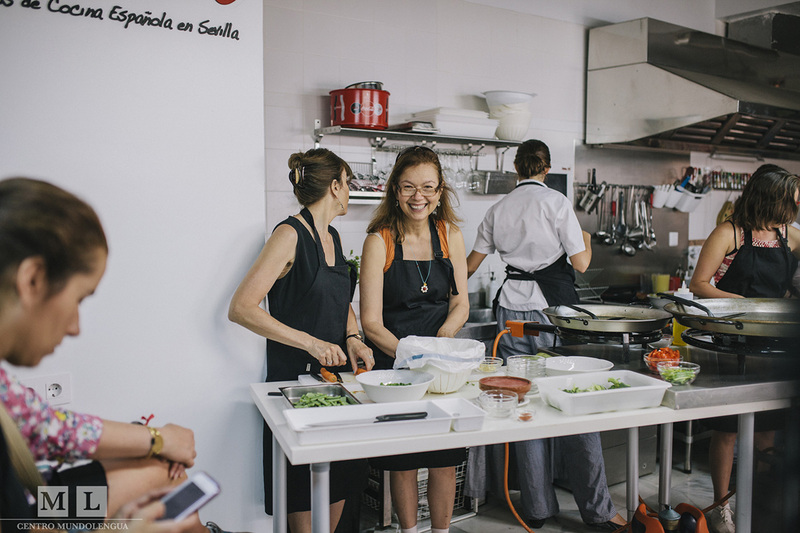 The families prepare all of your meals, which is an excellent opportunity to try homemade Spanish food. We will also accommodate for special diets, but we need to know beforehand. Your family will also wash your clothes once a week.